With the Christmas season quickly approaching, I've decided to make my "Blended Memories" pieces available to be commissioned as personalized gifts. :) Last year I had the pleasure of creating the image above using approximately 12 photos from this family's summer vacation. This same process can be used with any theme, such as a family tree, a special event, or season. - You send me 15-20 of your own images (the higher the resolution the better, and the photos must be owned by you). 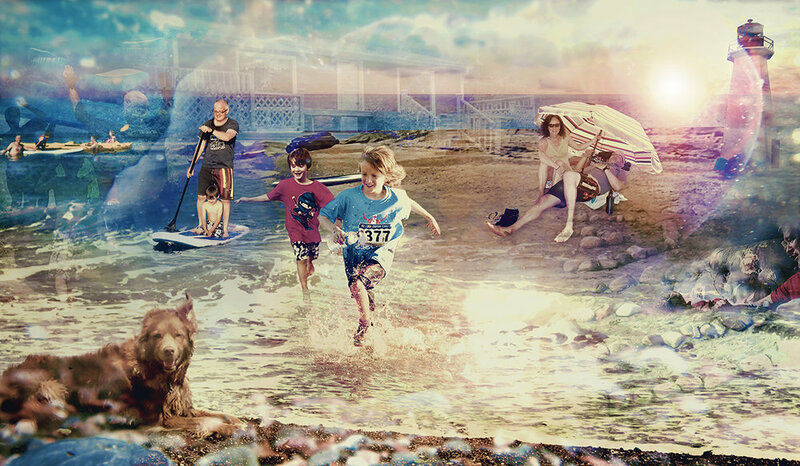 - I blend the photos into a lovely one-of-a-kind collage or scene, based on the theme of your choosing. - I send the collage back to you both as a high resolution digital photo (for printing), and as a smaller ready for web sized digital photo! A "Blended Memories" piece starts at $249. This covers approximately 10-12 hours of editing time, including up to 2 changes once it's complete (if required).